The Ultimate stain cleaner for winemakers. It removes wine, juice, ink, grass, and other stubborn stains that other cleaners dont touch. 32 oz. 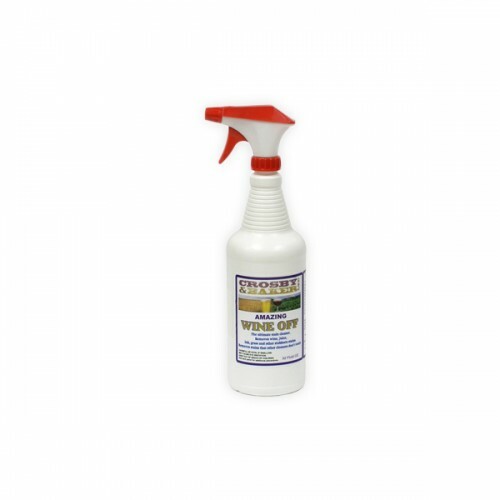 Bottle.andamp;lt;pandamp;gt;Instructions: To clean winemaking apparatus, rinse excess residue with plain water and apply liberal amount of Wine Off. Scrub lightly and rinse until foaming stops.